← It’s Got Spirit: “American Spirits,” a Prohibition Exhibit at the MOHAI…and may soon be at a museum near YOU! The reason I’m writing about this to all of you, however, is that this will lead to a small format change. Namely, I plan to “stick” the review to the top of my blog until the play finishes its run in November. I’ll still be posting as normal, of course, but now when you visit my blog the first thing you’ll see will be that review. I figured this would make things easier for anyone searching for them online. 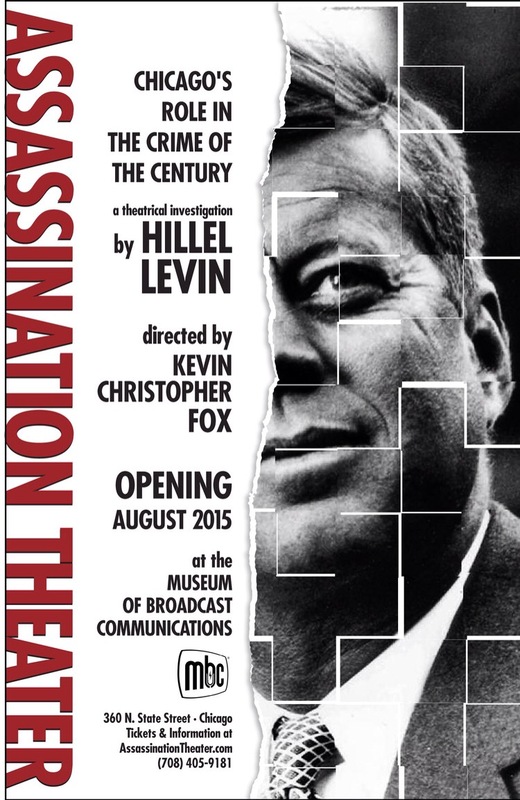 So, if you’re interested in the JFK assassination and live in or around Chicago, you might want to check out this play—or at least read my review ;). This entry was posted in Uncategorized and tagged Assassination Theater, JFK and Chicago mafia, JFK assassination, play review. Bookmark the permalink.